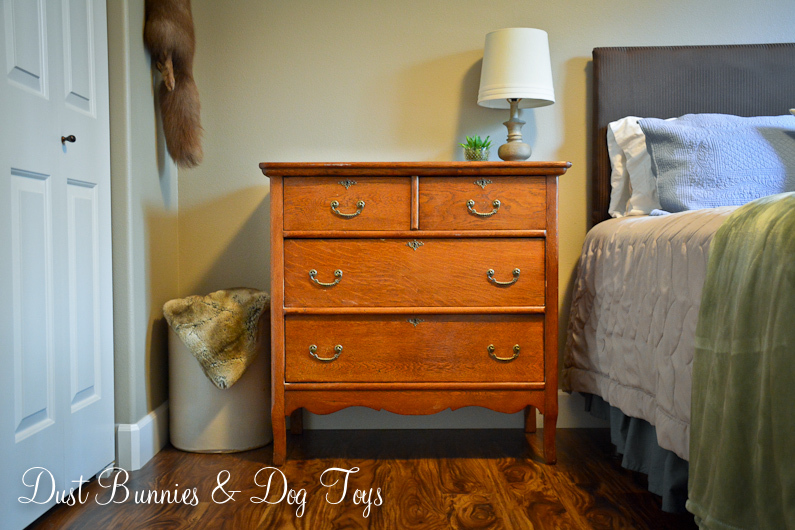 Although I’d recently picked up an antique sewing table for a nightstand in the guest room it just wasn’t working there for me, so I continued the hunt for a small dresser. I spotted this sweet little piece on the local buy/sell page and jumped on it quickly. It came with a large mirror that sat on top. 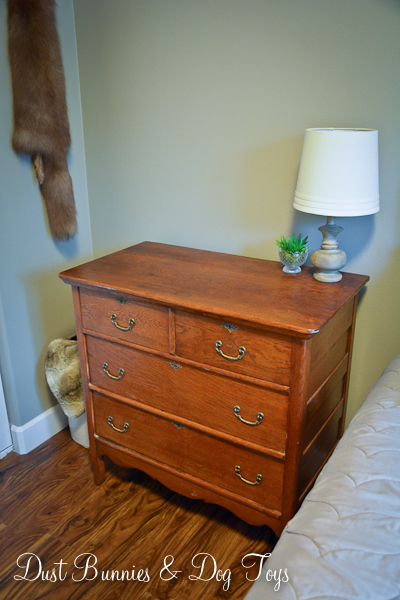 It was pretty but not the look I was curating in this space, so I sold the mirror and kept the dresser. 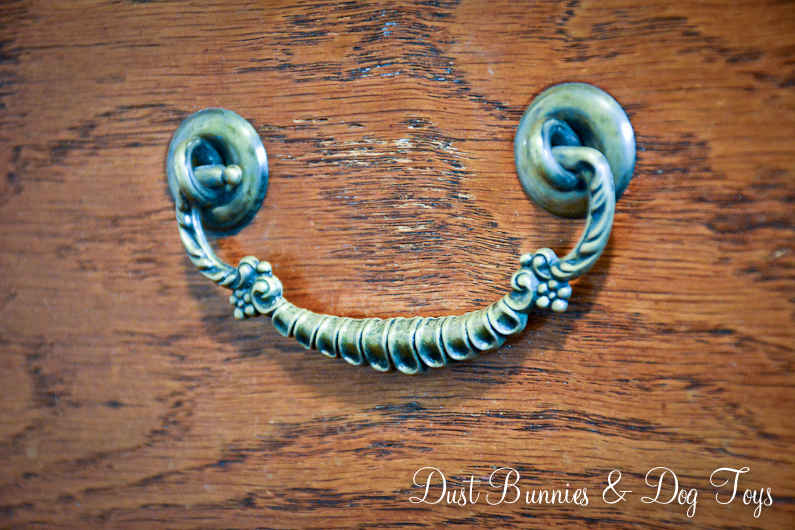 It’s got lots of pretty little details, from the key hole trim to unique handles on the drawers and it’s solid wood so it’s super sturdy. 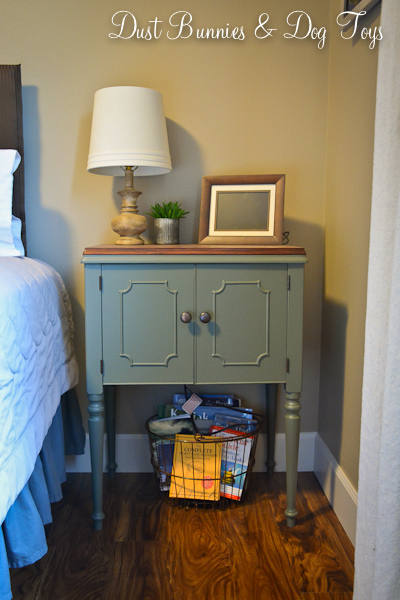 It’s the perfect size for the spot and the height works well as a nightstand while providing a bit of space for guests to unpack and stash things away if they need. 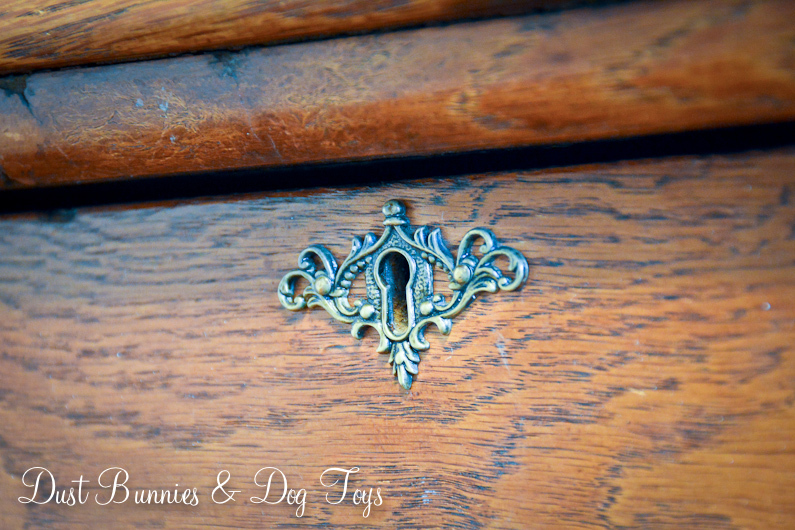 I plan to eventually refinish it similar to the other nightstand which was originally a sewing table, but it’s not a high priority right now since that’s something that can be done indoors during the cold winter months when we don’t have outdoor projects. 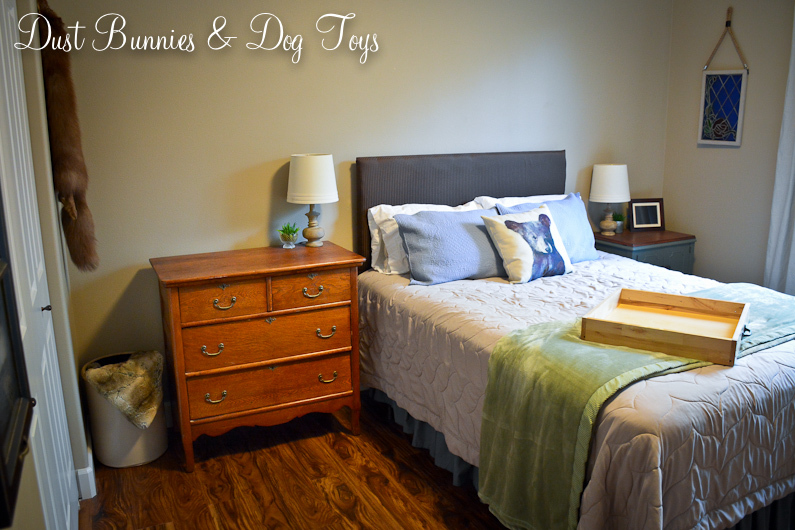 Although I like the current layout of the room because it gives guests room to come in and access the closet, I’m considering swapping the dresser with the smaller nightstand on the other side so the larger dresser is in the corner. I might give it a try after our guests leave and live with it for a bit to see how I feel about it.